Organic solvents can be added to detergents to increase their ability to dissolve oil and greasy deposits on surfaces. The various substances that can be dissolved are dependent on the particular solvent additive. They are most commonly associated with specialised cleaning products for use on soft furnishings and carpets. However, care must be taken when using cleaning agents containing these solvents, as they can easily damage the surface which is being cleaned. Acetone – which will remove lipstick, paints and varnishes and is most commonly associated with nail polish remover, and…. Tetrachloroethelene - which will remove fat, oil, wax, tar and paint. It should be noted that organic solvents can give off harmful fumes and are highly flammable. Therefore, extreme care should be taken to ensure staff are adequately trained and protected before using products that contain organic solvents and they should only be used in well-ventilated areas. There are many other chemicals that can be added to specialised cleaners that are not generally found in the cleaning products used for everyday cleaning. Examples of these are oxidising agents, conditioners, enzymes and corrosion inhibitors. It is worth noting that although dyes and perfumes are added to most cleaning products they have no effect at all on their effectiveness, they are only added to make the product look and smell more pleasant. Degreasing agents are strong alkalis, e.g. sodium hydroxide that can be applied on their own or as an active ingredient of a cleaning agent. They are primarily used to remove heavy or baked on deposits of fat and grease and most commonly associated with heavy duty kitchen degreasers such as oven cleaners. They are particularly effective for cleaning heavily soiled kitchen grills and hoods. However, used on their own they are extremely corrosive and will damage most surfaces and, as such, it is far safer to use ready mixed cleaning products (JANGRO Oven Cleaner, JANGRO Heavy Duty Kitchen Degreaser) that contain the degreasing agents as an active ingredient. Extreme care should be taken when using products that contain strong degreasing agents as they can have a corrosive effect on body tissue exposed to them. Certain deposits found on surfaces are insoluble in water. This presents a particular problem when attempting to tackle them with what are, essentially, water-based cleaning solutions. The most common problem associated with this is the build of limescale in sanitary and washroom areas. The limescale is made up of calcium based salts that are insoluble in water. However, these salt deposits are soluble in acid and, as such can only be effectively removed using acid-based cleaning. Weaker acids such as citric acid and acetic acid (lemon juice and vinegar) can be used as cleaning agents and can be effective, but they will have a limited effect on larger deposits. These types of deposits can be tackled using cleaning agents containing stronger acids, such as hydrochloric, phosphoric and sulphuric acids. Care should also be taken when using acid-based cleaners that they are not allowed to come into contact with powders or liquids containing bleach as this will generate chlorine gas. In extreme cases this can lead to death. There are a whole range of abrasive cleaning products available on the market today. Their effectiveness relies on the mechanical cleaning action of the abrasive particles they contain. These particles are usually added to a thick viscous detergent fluid that is applied to the surface being cleaned .The liquid is then worked into the surface, forcing the abrasive particles against the surface and removing any dirt or grease deposits from it. Care should be taken prior to cleaning to ensure that the surface being cleaned will stand up to the abrasive action of the product, without having an adverse effect on its overall appearance. Also, after cleaning with abrasives, the surface will need to be rinsed fully using plenty of clean water. These are available in liquid, paste, cream and impregnated wadding forms. The abrasive material is very fine, usually pumice, and can be used on highly polished metal surfaces. The fine particles will gently remove any dirt, scratches or tarnishing, leaving a bright clean finish. Some metal cleaners also contain solvents such as white spirit and overuse of these types of cleaners can lead to deterioration in the appearance of the object being cleaned. Also, metals such as brass and bronze can be treated with lacquers, which will reduce the need for the use of abrasive metal cleaners. Again, fine abrasive particles are used in conjunction with a detergent liquid. These cleaners are moist commonly used for cleaning vitreous enamel sanitary fittings. Their use on acrylic fittings should be carefully considered, as the degree of abrasiveness may have an adverse effect on the surfaces. Cleaning pastes are usually packaged in tubs and contain far coarser abrasive granules than cream cleansers. They are not usually used on a routine basis and should be used only for localised soil removal, such as washable graffiti, encrusted food etc. Abrasive cleaning powders are very coarse cleaning granules that have detergent properties when added to water. When water is added to them, they act in much the same way as pastes and should be used in the same way. Bio-Enzyme cleaning products are a relatively new addition to the detergent family and are unique in the way they deal with soil. They are made up of a cocktail of live bacteria and enzymes, held in suspension within a solution. The bacteria attack the dirt, grease and grime on the surface being cleaned and eat away at it. The enzymes within the solution “digest” the soil within the solution, leaving little or no residue. The bacteria contained within the solution can live on the surface after cleaning and can continue attacking any remaining dirt particles. As the active ingredients within the cleaning solution are living organisms, care must be taken when preparing cleaning solutions that they are not too hot as this will kill the bacteria, rendering the solution ineffective. Again, this revolutionary approach to cleaning is a relatively new concept that, for the first time, allows you to “bleach” stains from fabrics, without damaging the dyes within them. The active ingredient contained within these products is sodium percarbonate, an excellent detergent and bleaching agent based on hydrogen peroxide. It is a good cleaning and bleaching agent at normal temperature, and has strong fungicidal effect. The product itself is a white particle powder, non-toxic, non-flammable, non-explosive, easy to get damp and soluble in water. Oxygen bleach is excellent for cleaning and removing organic stains such as coffee, tea, wine, fruit juices, foods, sauces, grass and blood etc. from fabrics, plastics, fibreglass, porcelain, ceramics, wood, carpets, asphalt, concrete etc. 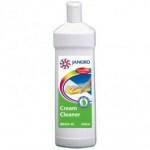 It can also can be used for destaining and deodorising and is efficient, safe and economical.